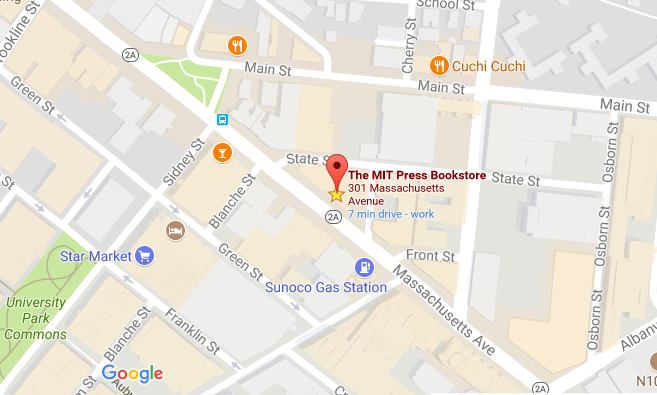 The MIT Press offices are located on the third floor of 1 Rogers Street in Cambridge, MA 02142. The name of our building is 'Charles Park' and the main entrance is on Rogers Street. 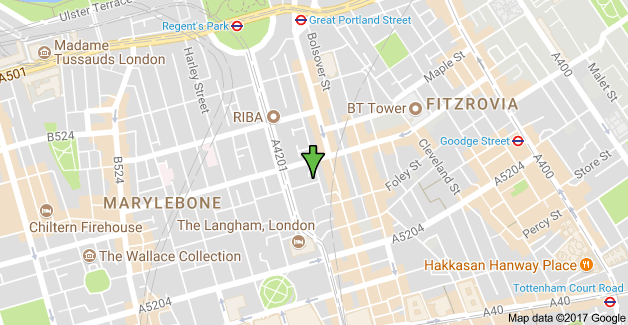 There is also a side entrance on First St. opposite Bent St. Take the elevator to the third floor and you will find us. There is a telephone outside our door that you can use to gain entrance to our offices. Public parking is available on the street and at the Cambridgeside Place Mall. 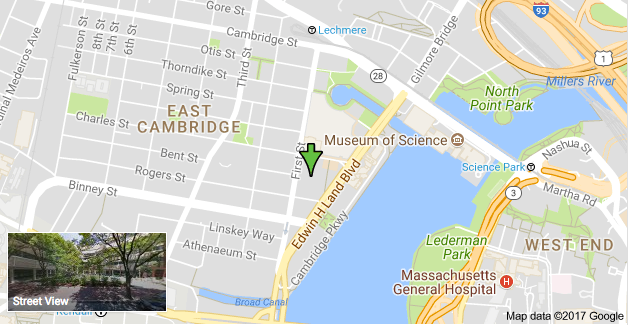 We are located just outside of Kendall Square. By foot it would take you approximately 20 minutes to walk to our offices from Kendall Square. There are two MBTA stops that are close to our office. The closest one is the Green Line Lechmere stop. A bit further away is the Red Line Kendall Square stop. More info about nearby MBTA Services. The MIT Campus Map is a handy tool to find our office as well as other MIT affiliated offices located in and around campus.